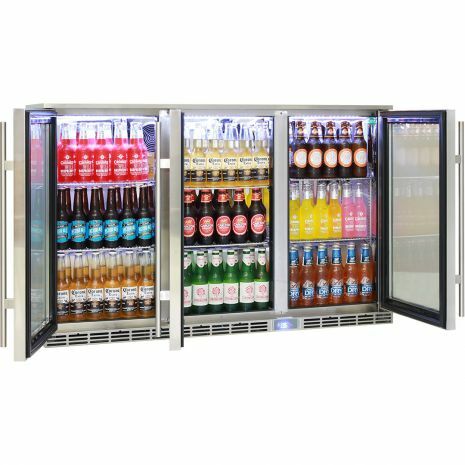 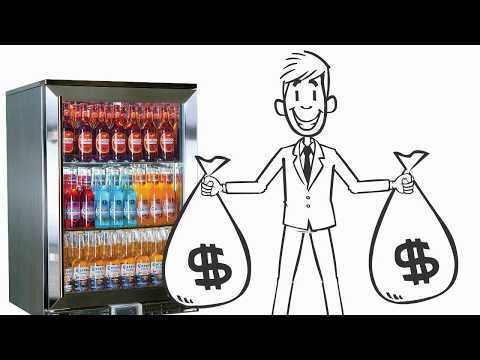 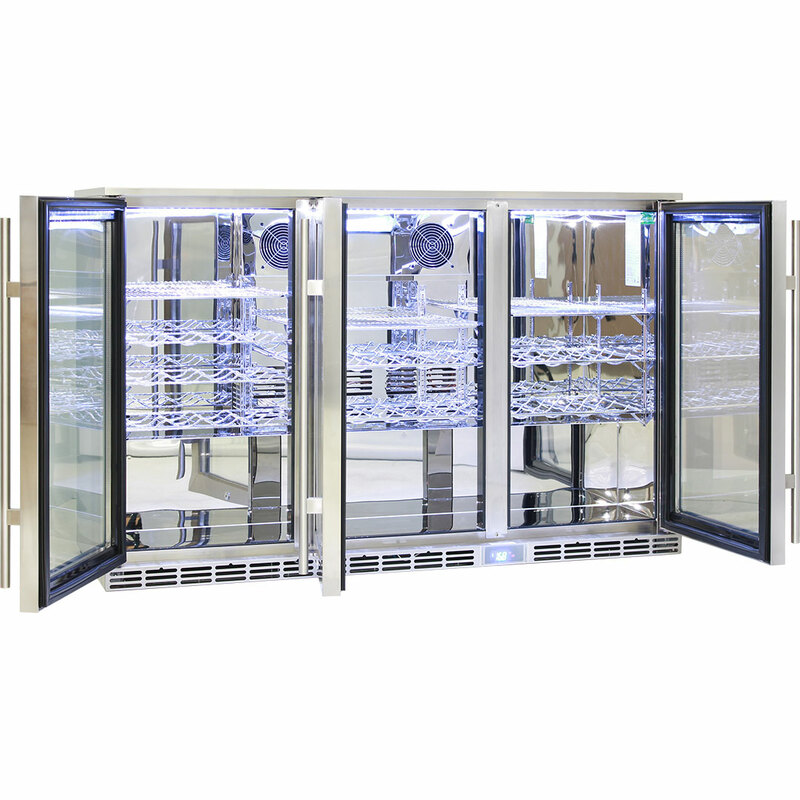 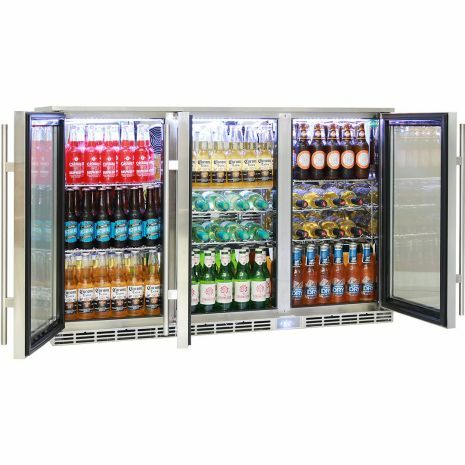 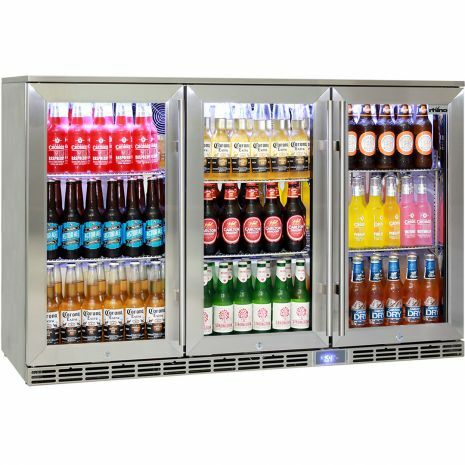 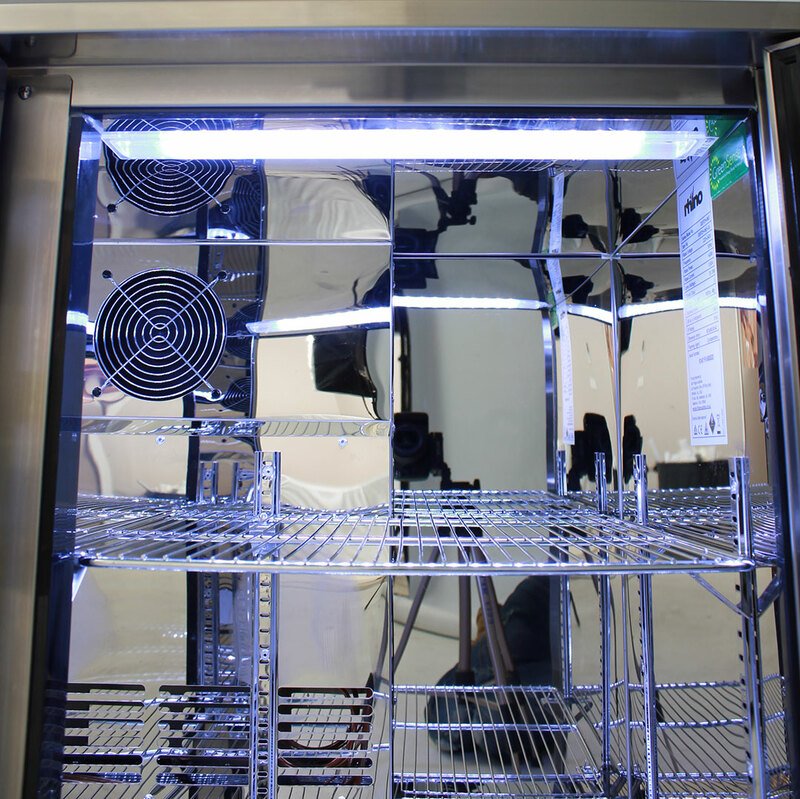 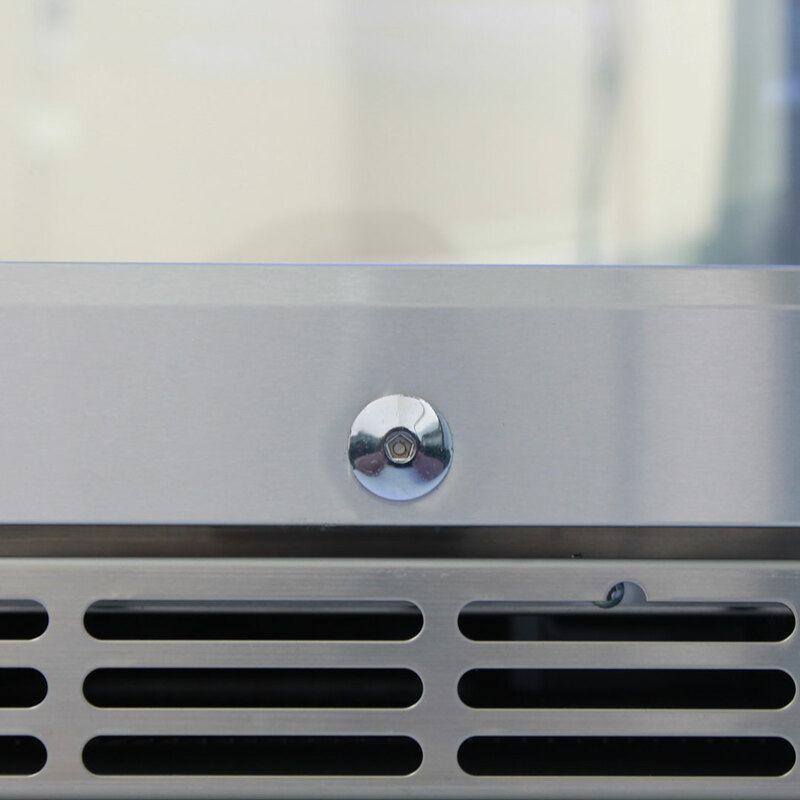 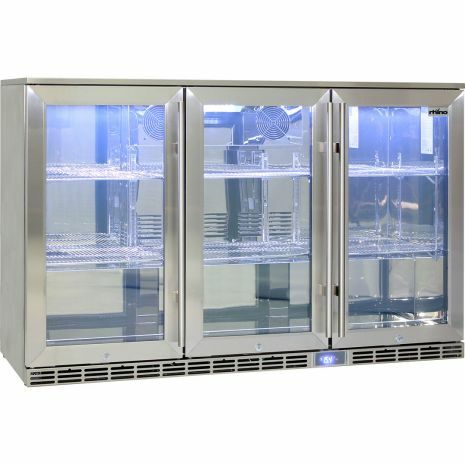 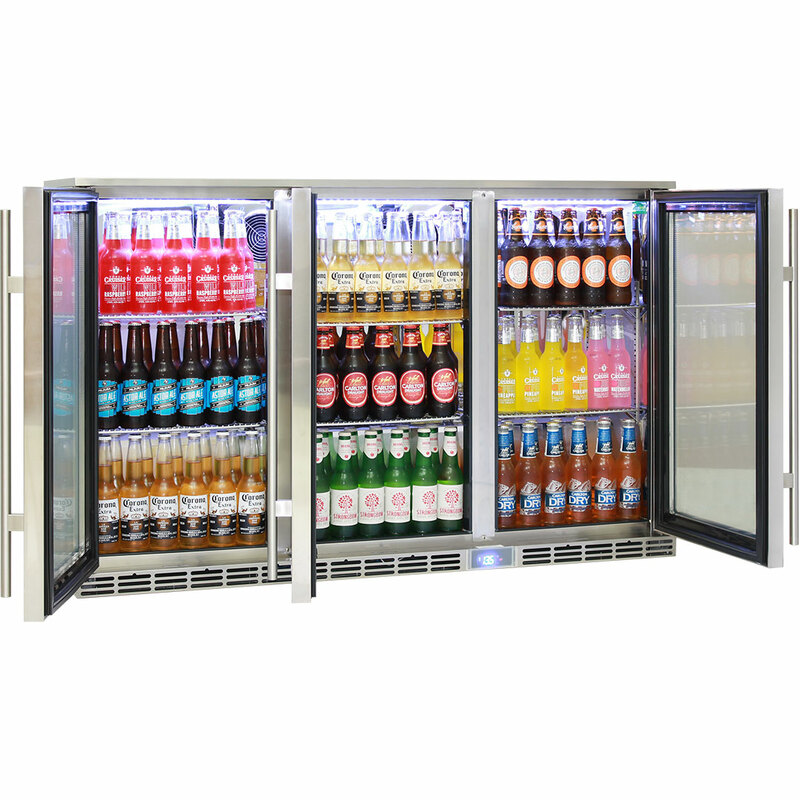 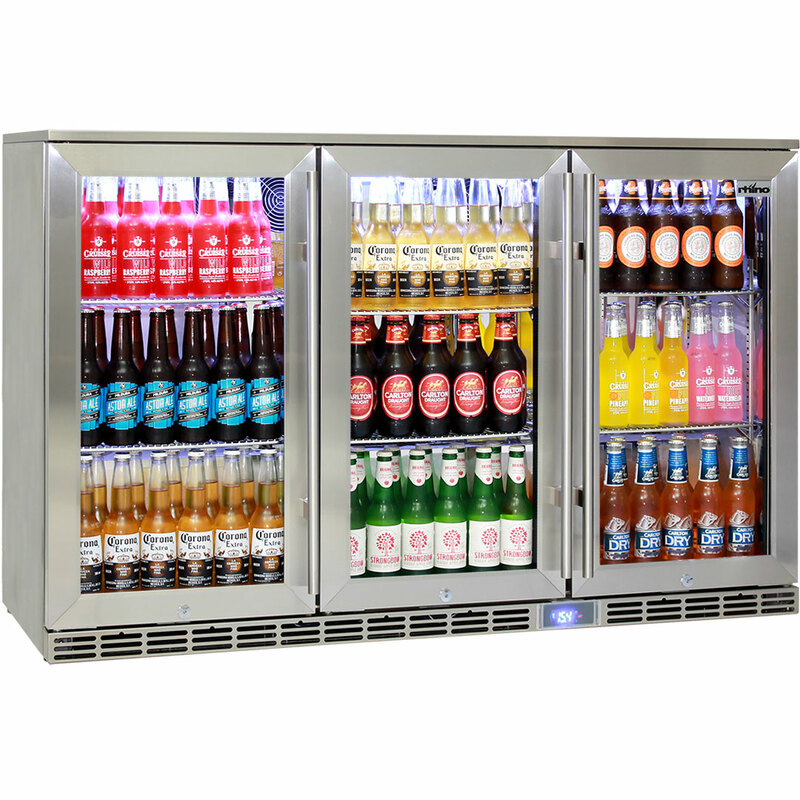 3Door Energy saving glass door alfresco outdoor bar fridge, designed for heavy usage and reliability outside and in tough pub applications. 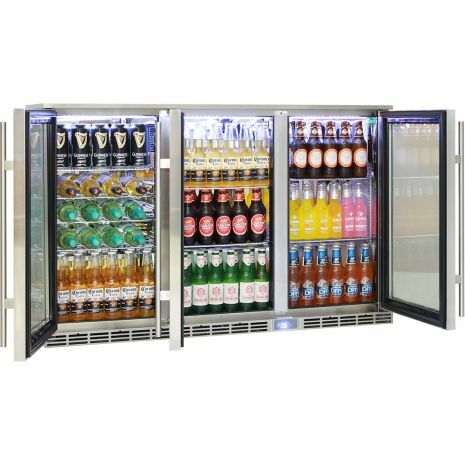 The Rhino GSP (Green Sense Plus) range are now the best performed units on the world market, the hard work has paid off. Size: W: 1350mm x D: 500mm x H: 865mm, 136kg. Power Consumption: 1.63 KWh/24h (even lower in ECO mode, its only about $175 a year). 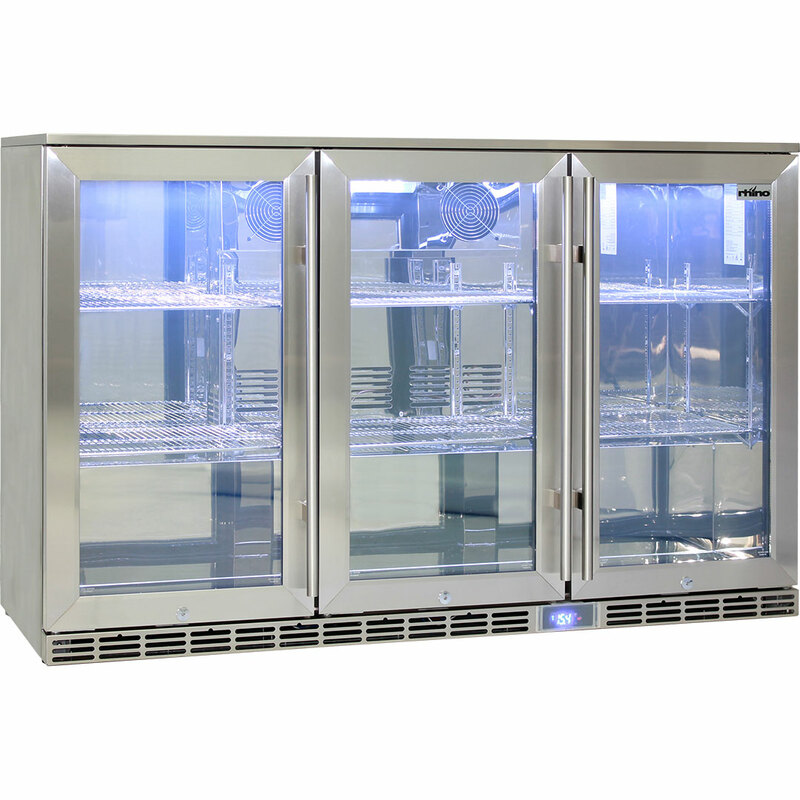 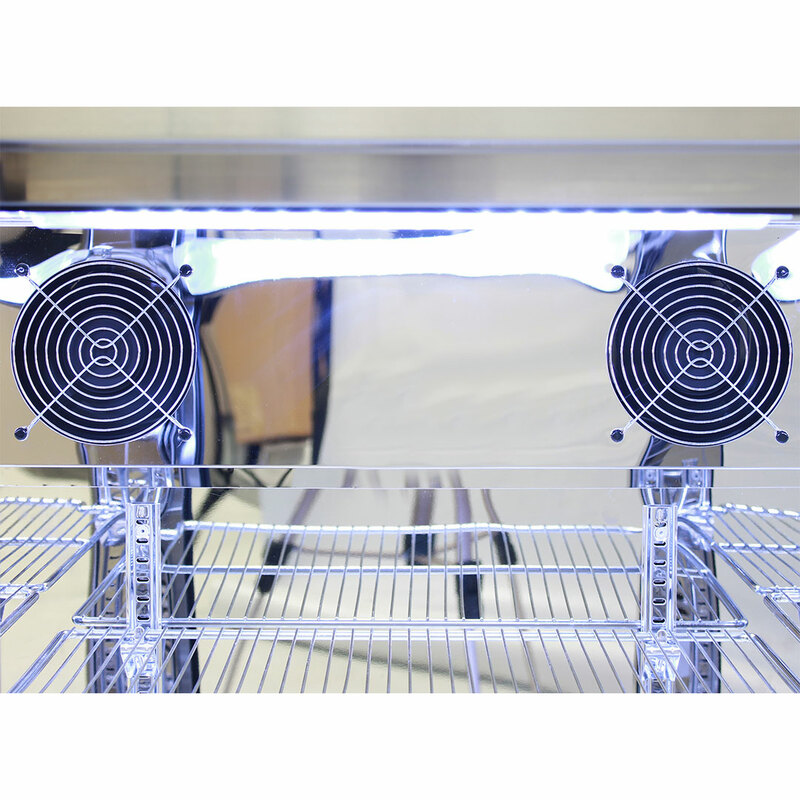 Some of our previous models draw up to 7.1KWh/24Hrs, these are 4 times cheaper to run. 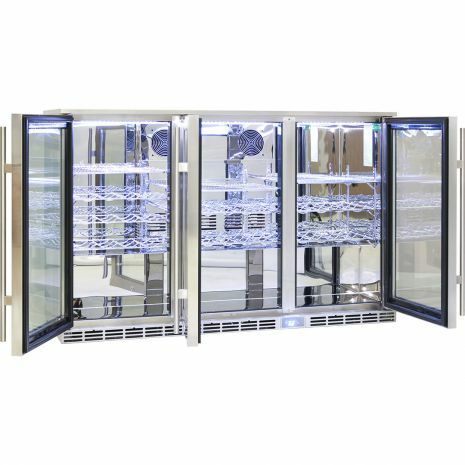 Double glazed tempered self closing lockable doors with LOW E Glass that helps prevent condensation in up to 77% humidity at 40°C. LED lighting for full illumination inside. 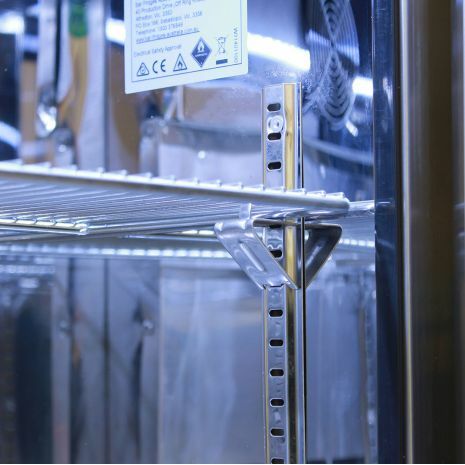 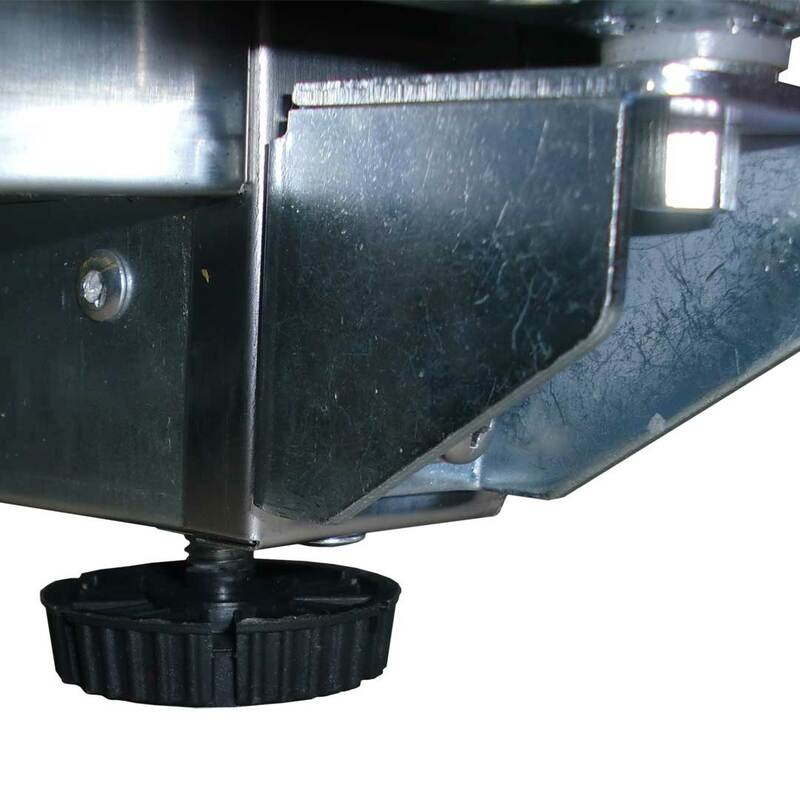 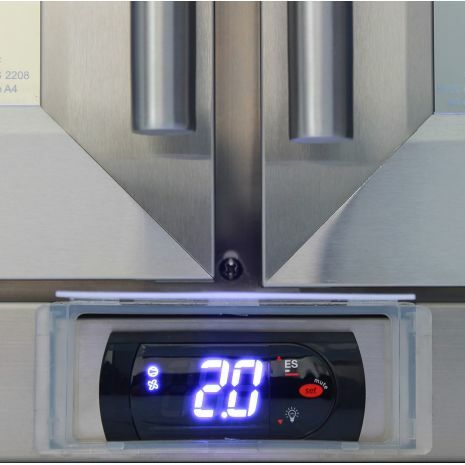 Allow 10mm Shadowline when building into cabinetry as door swings slightly outside fridge diameter.